The executive director of a non-governmental organisation, Dise Ogbise-Erhisere has rescued two teenage children from domestic violence at imiringi in Yenagoa, Bayelsa State. Speaking to newsmen, Dise Ogbise-Erhisere said the mother of the children has on several occasions according to neighbours consistently assaulted her children. 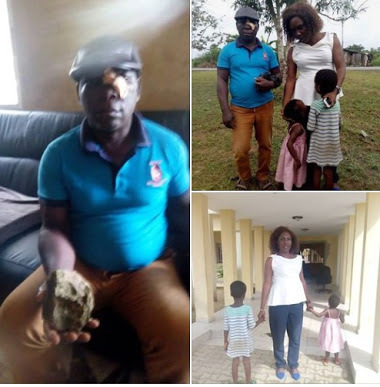 He said a concerned neighbour intervened but was injured in the process by the mother of the children adding that the woman threw a big stone at his eyes causing severe damage and pain to the man. However, the man has reported the matter to the police but the woman escaped before the police could reach the scene of crime. Dise Ogbise-Erhisere, who is also the Chairman, Nigerian Bar Association, NBA Sagbama branch took the children for protective custody. She expressed worry that the children stayed with neighbours (men) for two days and looked so unkept and sick. The NBA boss called on members of the public to look out for all cases human rights violation and speak out in order to save the lives of children.